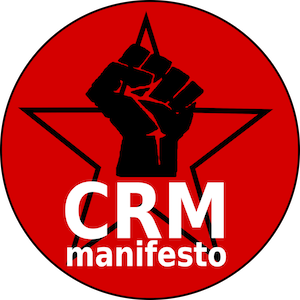 The CRM Manifesto is a declaration of the fundamental truths about Customer Relationship Management. It is intended to be used to inform and remind those on a CRM journey what they are seeking to achieve. We are changing the way our organisation interacts with its customers, and by necessity how it interacts with itself. CRM is not a technology, CRM is not software. CRM seeks to proactively manage business processes which improve relationships with current and prospective customers, increasing a customer’s lifetime value and driving revenue increases. Customers want to be able to engage with the organisation through the channel and device of their choice. Automating processes and using technology solutions to transport data will allow us to focus on adding value to our customer interactions. We want our customer-facing staff to be able to focus on the customer and not the system. Having a single view of a customer’s engagement across the organisation will allow us to further focus on adding value to our customer interactions. By giving our customer-facing staff ready access to information about our customers, their interactions with the organisation, and their products and services, our staff can best exercise their talents to add value to the customer interaction. 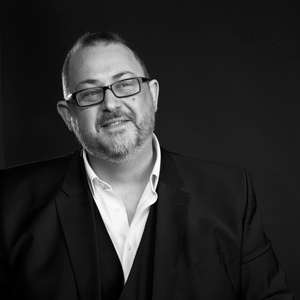 Additional opportunities present themselves when we know the connections between our commercial and consumer customers [For Organisations that have both B2B & B2C relationships]. Every interaction with a customer presents an opportunity to add value to our relationship; we must strive to achieve that. If every interaction feels consistent and complimentary then we can achieve a consistent cross channel experience for customers. Quantifying how the CRM programme increases customer value is important; we track value before, during and after we implement change. Customers do not care about the intricacies of our internal processes, but these back-office processes may impact on our customers’ experience. Changes to the way we interact with customers is ongoing; CRM is a journey and not a destination. A great CRM implementation should allow for quite a bit of integration and automation, and should give you complete visibility of your business. All good and extremely important. It starts with putting the customer first and a desire to provide a quality service, then to use it for a multitude of other purposes. CRM is the tool which is necessary to make this happen, but management and open culture within the organisation and a real desire to ‘do things better’ will make it work. I agree CRM is not a technology and not a software. CRM is a journey, customer experience. Interesting initiative! Most people are probably stuck in the perception that CRM=Software and that there needs to be “one all-encompassing tool to rule them all”. This manifesto can serve as mindset guidance when approaching a “CRM project”. Staying focused on the customer is key and the technology trend is towards specialized apps and solutions to better help potential and existing customers to grow, such as our focus at Membrain.com to support the complex sales process (being a catalyst in the buying decision process) to consistently reach sales targets. Thank you for your comments. That’s the sentiment behind the 13th article “Changes to the way we interact with customers is ongoing; CRM is a journey and not a destination”. It’s really worth repeating that individual vendors may have a different view on the duration of a CRM programme. Hi ! Great post with the exact resume of what is really CRM : it is not a tool, it is a philosophy. And as you said, we can use marketing automation, but only for the low value actions. The human and the exchange between people is the key. People buy thought emotion.